My oh my! This sugar topic is certainly a hot one! I have gotten more responses, “likes,” and comments about my sugar posts than anything else I’ve done. Thanks to all for stopping by to read these and taking the time to comment. And I plan to stir the pot further about sugar right now. Obvious: Most fruit-flavored yogurts and vanilla yogurt have sugar in them. Obvious: Chocolate or vanilla soy milk. Not-so-obvious: Original, organic, plain soy milk found in cartons in the refrigerated section of the store. This one truly surprised me. Obvious: Ketchup and cocktail sauce. Not-so-obvious: Most brands of organic and/or kosher chicken broth, beef broth and vegetable broth in the aseptic boxes list cane juice. Not-so-obvious-and-just-plain sinful: Organic miso soup in an aseptic box. I was offended! Kudos to IMAGINE FOODS brand of soup broths. They do NOT have sugar! Not-so-obvious: Organic lemon herb rub (for fish) with thyme. And sugar. Obvious: Many breads and flour products. Not-so-obvious: Organic, whole wheat panko bread crumbs. We can gripe about the natural food stores and what they decide to sell or not sell all we want. They are there to make a profit and they have so much shelf space to designate for a product line. What makes the most difference is what we decide to purchase. They provide what we will purchase. It’s as simple as that. You can find some alternative suggestions below and I’m going to add one more treat to this list–it’s something I just discovered. Suzanne’s Specialties Brown Rice Syrup products “Just Like Honey” and “Ricemellow Creme” for a special treat. This entry was posted in Cooking, Food Shopping, Health and tagged Cook, Food, Health food store, ingredients, Ketchup, salad, Soy milk, Sugar, sugar free by mycookinglifebypatty. Bookmark the permalink. I think one of your last points here is VERY important. Just because a store carries “natural” foods, doesn’t mean everything there is healthful. There are just no shortcuts to knowing what you are putting in your body. Thanks for the heads up Patty! You are welcome and I liked your recent posts on this subject as well. It’s good that you expanded on this. It is a hot topic indeed. Or should I say a “sweet” topic? Or it might even be sweet and sour! That’s good….but….they do contain products that may be equivalent to MSG though they boast of not containing MSG. Beware the products that contain ‘flavors’, autolyzed yeast and autolyzed yeast extract,… all of which contain glutamic acid, the big No No that is a neurotoxin. I’m still waiting to hear back from them on their ‘spices’. This can often be an indicator of MSG as well when a company just writes ‘spices’ on their label rather than the actual list of what those spices are. Most organic companies are not guilty of this, but some are or it can mean that the spices themselves are processesd at such high temperatures that it produces the glutamic acid in the process. IMAGINE is a better company than most, but people should still be aware…. just sayin. 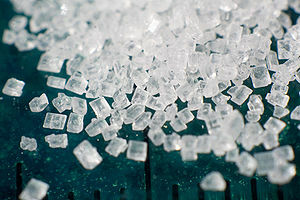 While sugar seems to be your big pet peeve, MSG is mine. Hello OrthodoxMom! Thanks for this heads up! Yes, sugar has been my recent soapbox topic but you and I seem to be on the same wavelength here. While I was looking at the ingredients of products I wrote down several other ingredients that I need to know more about and I’m going to add glutamic acid to my list. Looks like we have another topic to discuss and I thank you for that!